Death metal goliaths JOB FOR A COWBOY will unleash their brand new studio recording entitled Demonocracy this Spring. Set for North American release on April 10, 2012 via Metal Blade Records, the nine-track Demonocracy was produced by Jason Seucof (Black Dahlia Murder, Whitechapel, Trivium) who recorded the band’s blistering Ruination full-length, at Audiohammer Studios, and features another strikingly detailed concept cover by artist Brent Elliott White. Returning with an oddball lineup, the nine-track Demonocracy seethes with unbridled vulgarity and potent disgust. Over their long existence the quintet have built a yearning fan base through their devotion to touring and a diehard commitment to creating relentlessly hostile and involving music, and in 2012 JOB FOR A COWBOY have never sounded hungrier. Commented the band in a collective statement: "However ruthless an age may actually have been, it's style transmits it's music only." Check out the bludgeoning new single, “Nourishment Through Bloodshed,” as well as cover art at the band’s OFFICIAL LANDING PAGE. With the critical praise and fan adoration bestowed upon 2009’s Ruination, it would have been easy for the band to rest upon their proverbial laurels and serve up Ruination Part II. 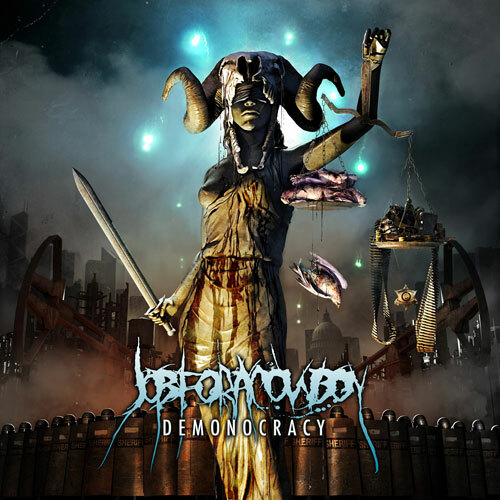 But from the moment Demonocracy roars to life it is wholly evident that this is a far more musically accomplished beast that takes their signature sound to the next level. From the abrasive blast of opener “Children Of Deceit” to the disconcerting strains of “The Deity Misconception” or the brooding, heart wrenching closer “Tarnished Gluttony.”A record drenched in equal parts misanthropy and naked rage, and from start to finish they suspend the listener by the throat. 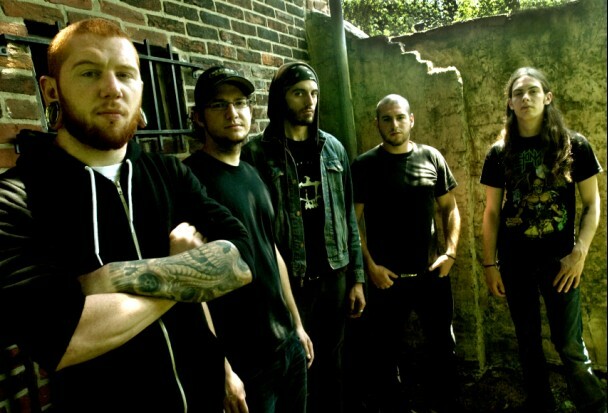 A key factor in this progression was the change in the band’s ranks, which finds vocalist Jonny Davy, drummer Jon “Charn” Rice, and guitarist Al Glassman joined by guitarist Tony Sannicandro, who met Al when he was a session guitarist for Despised Icon and filled the slot vacated by Thompson. In addition, Cephalic Carnage bassist Nick Schendzielos replaces Brent Riggs. Having initially brought Sannicandro and Schendzielos on as touring musicians, the members immediately gelled, and first wrote together on 2011’s Gloom EP, sealing the deal and securing their places as full-fledged members of the band.